applied glass wool insulation and sheathed with an outer aluminium laminated vapour barrier. The triple interlocking construction seam is highly bendable, easy to install and can withstand rough handling. 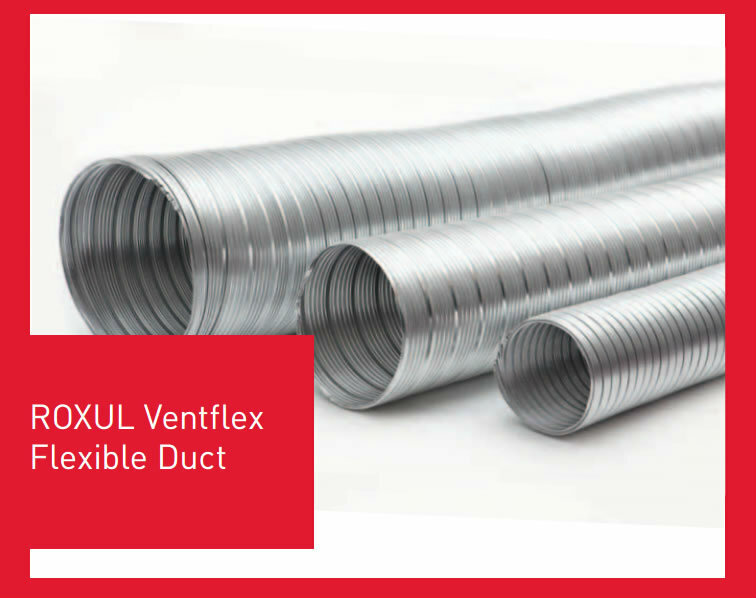 the duct maintains its full diameter on bends and can be compressed for ease of transportation.